Quest Festival is a 3 day celebration of music, arts, workshops, cinema and performance set in stunning surrounds. Situated at Son Tinh Camp, just outside of Hanoi, Quest Festival has been recognized as one of the most scenic festivals in the world with its backdrop of Ba Vi mountain and Dong Mo lake, both features of ancient Vietnamese legends. The festival itself aims to be a platform the best emerging talent of Vietnam and South East Asia, with selected taste makers from further afield. Shunning the typical model of one over-hyped DJ playing commercial tunes. Each year Quests presents an eclectic lineup of over 100 emerging local and international musical acts across 4 hand crafted stages. 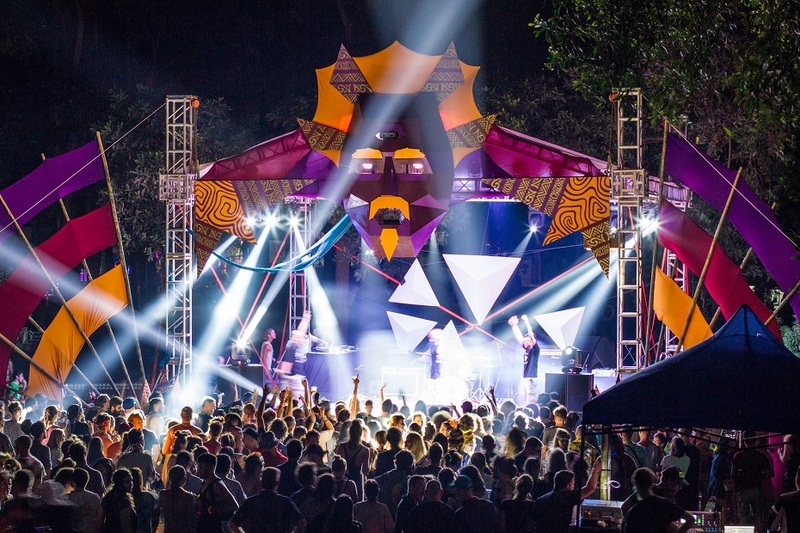 From the Dome pumping out tasty underground beats, to the main stage showcasing the best bands Vietnam has to offer, Quest Festival collaborates with other South East Asian entities to bring something new and different every year. Rounding out the experience, Quest also features a full program of Cinema, Workshops and Performance. 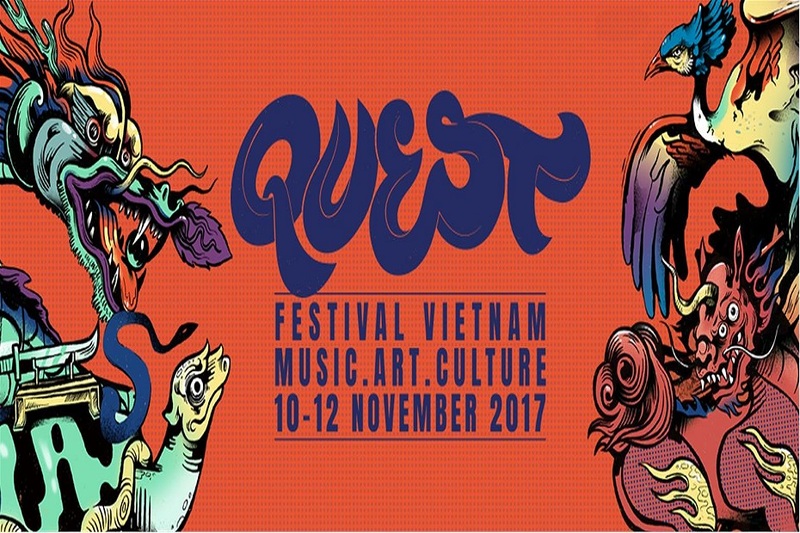 With an intimate feel not exceeding 6000 people, Quest was born as a grassroots movement from experienced festival goers wanting to bring the international concept and good vibes to our new home in Vietnam. Quest Festival is where make-believe becomes tangible and where our wildest dreams power our experience at the festival. Its philosophy – “Creativity. Connection. Nature.” – stresses the importance of mindfulness and staying connected to the people and beauty around us. Because everyday life often isolates us from our environment, Quest is committed to restoring these connections, in addition to sparking and nurturing new ones. The theme for this year is the four holy animals of Vietnam, or in Vietnamese Tứ linh – The Dragon, The Qilin, The Phoenix and The Turtle. The theme is expressed through stages, installations, performance and you, the audience, through costume (see costumes section for more information on this). Quy – Turtle: The Quy/ Turtle is the most complex and commonly seen symbol and is combined with either a crane or a snake. The turtle representing immortality, strength and enduring power whereas the snake represents speed, wisdom and flexibility. The Turtle and crane represents balance between sky and earth, femininity and masculinity. Phoenix – Phượng: The Phoenix / Phượng is the king of the birds. It symbolizes prosperity, morality and elegance as well as representing the queen and princess. Dragon – Long: The Dragon / Long is the spiritualized version of lizard and symbolizes life, growth, the universe, wisdom and nobility. It can also represent a king. Qilin – Lân: The Qilin / Lân is sometimes called a unicorn, because of the single horn upon its head. Combining the head of dragon and the legs of a deer, it symbolizes luck and security.